The most wonderful time of the year can be the most challenging. A barrage of cheerful advertisements, jingles and carols constantly urging you to be of good cheer when you’re grieving, broke, dealing with family, managing a workload or any combination of these cannot only put you on edge but push you over it. 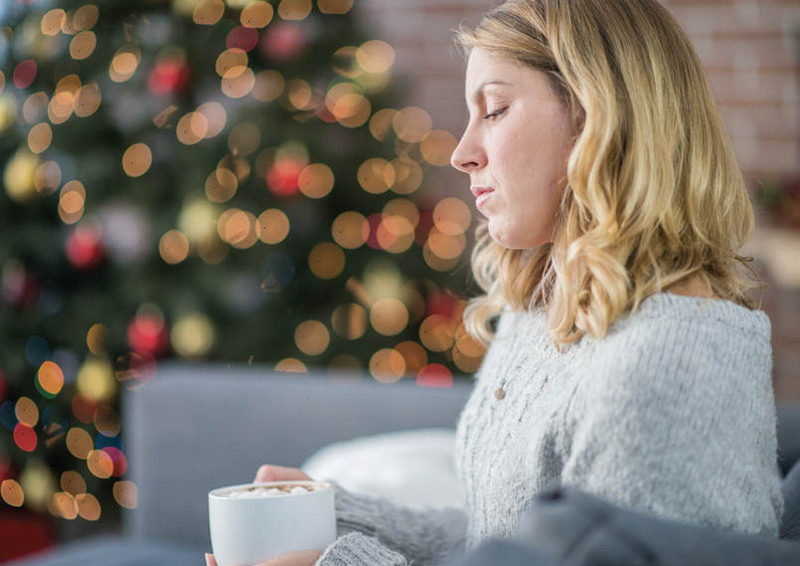 Battling depression during the holidays can be daunting, but there are ways to make it manageable. If you or someone you care about has felt sad or apathetic (no pleasure in things you used to find enjoyable) to the point that it is interfering in your life, and this feeling has lasted for two weeks or longer, you may have depression. It’s important to understand that depression is nothing to be ashamed of having or talking about, and there are ways to make this mental illness more manageable. First, understand it is acceptable not to feel like celebrating during the holidays. It’s a positive first step to recognize one or more of the reasons as the basis of your depression. Maybe it’s being around people that is difficult for you or you are grieving a loved one, relationship or other loss. Perhaps you’ve had an upheaval in your life – lost a job or taken a new one, relocated to a new home, had children move out, have unresolved issues with family or friends. Or maybe the holidays make you feel less than you are. Regardless of the reason, knowing the cause will help you determine a solution. Next, reach out to others. When you are depressed, it’s vital you don’t isolate yourself. Tell people you trust you are struggling. Having someone show you they care, listen to your worries and reassure you that you are valued will help you not feel alone. If time and money at the holidays are a concern, make a plan and stick to it regarding decorations, parties, gifts and meals. It’s OK to limit the amount of celebrations you attend, and you don’t have to purchase any gifts if it will cause you financial worry. You can share kindness lavishly without purchasing anything. Invite a friend over for a holiday movie, walk or drive through a neighborhood with lots of holiday lights, or volunteer at your church or community organization. You can even choose to spend Thanksgiving, Christmas Eve, Christmas Day or New Year’s Eve alone, sleeping in, staying in your comfy clothes all day and reading a book. Lastly, if you find you’ve done these things and you still feel depressed, it’s important to talk with a doctor or mental health professional (a therapist, counselor or social worker). Sometimes when you are depressed, you feel like you’re in a fog and cannot figure out your next step. A professional will listen to your concerns and help you find your way. Depending on the type and severity of your depression, you may need medication, therapy or both. These treatments will provide you with tools to use when your depression becomes more severe. The most important thing you must remember when you are struggling with depression – during the holidays or anytime – is that you are valuable. You are worthy, needed and wanted. There are people in your life who need you in their lives. If you are struggling and don’t know where to turn, call 1.800.273.TALK (8255) or text TALK to 741741 any time. If your child is battling anxiety or has another psychiatric, behavioral or emotional issue, call Methodist Family Health at 866.813.3388 or email info@methodistfamily.org.